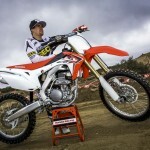 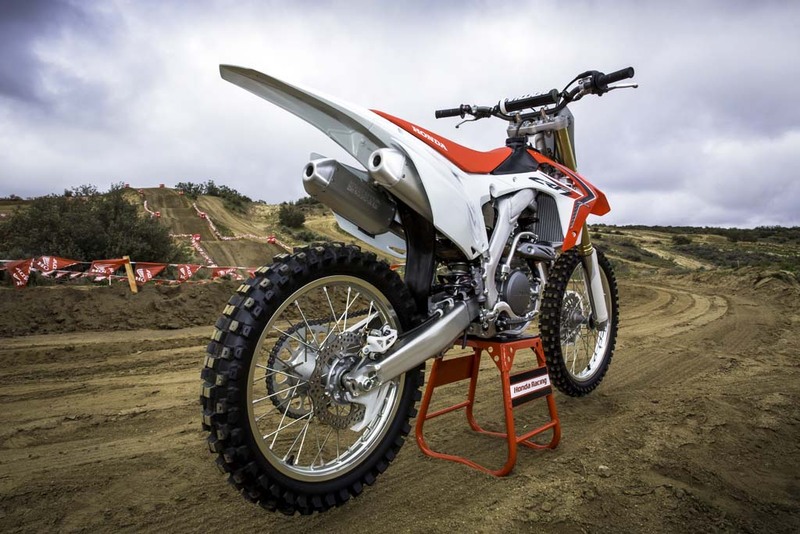 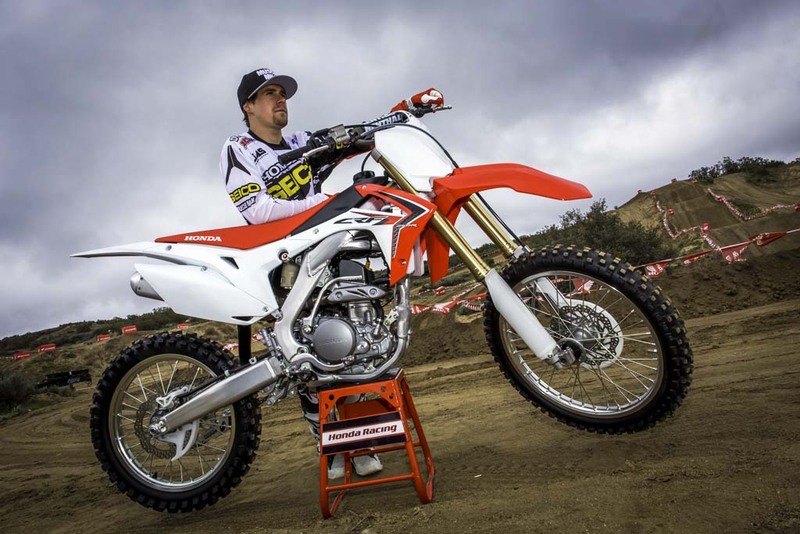 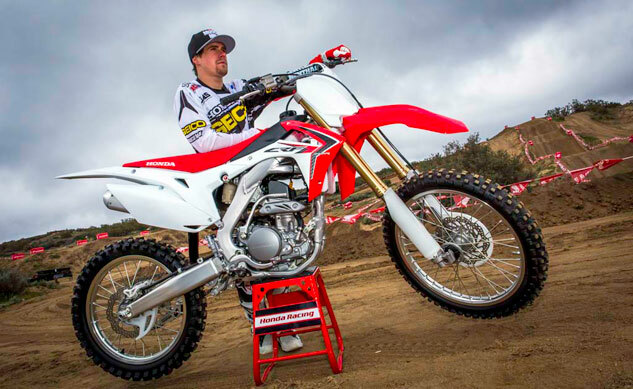 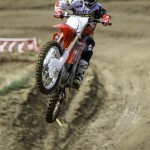 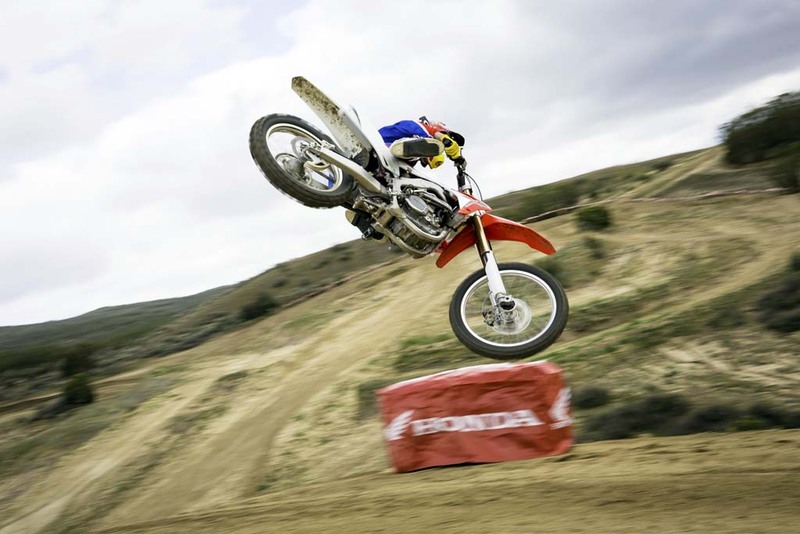 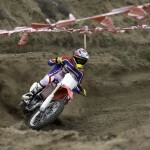 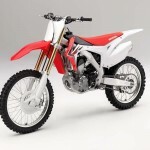 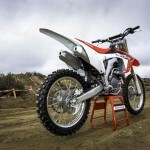 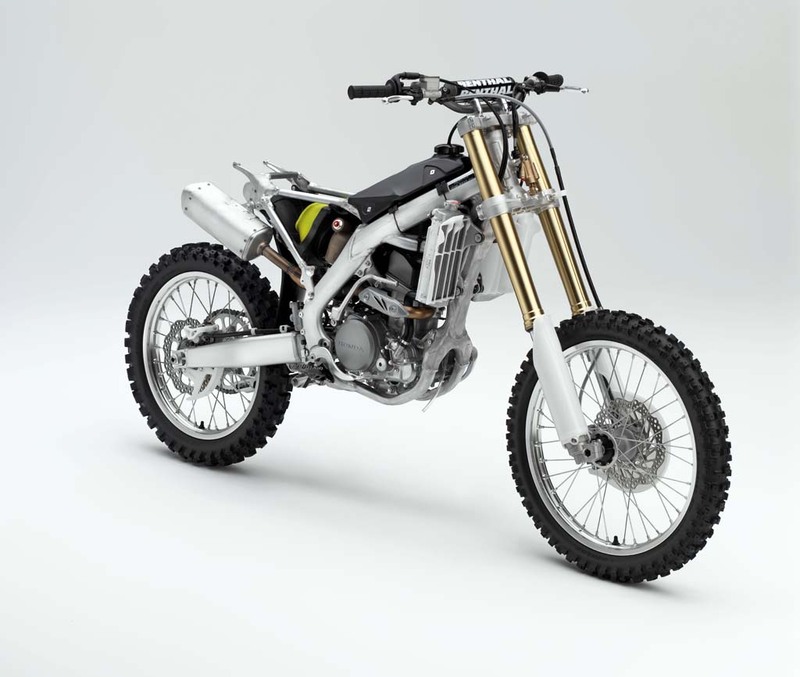 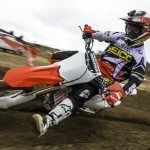 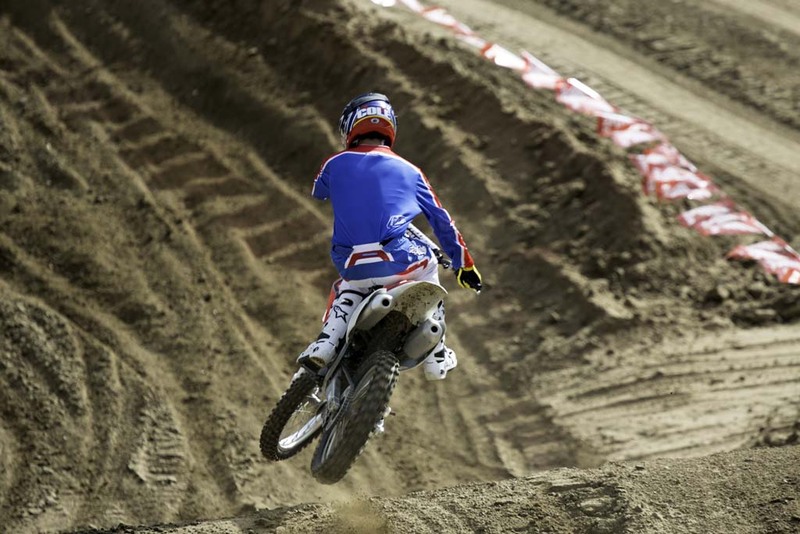 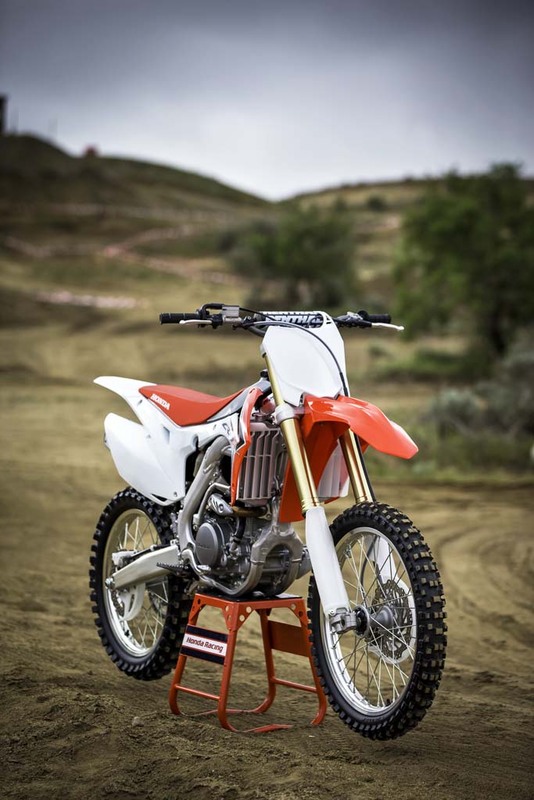 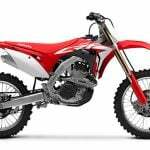 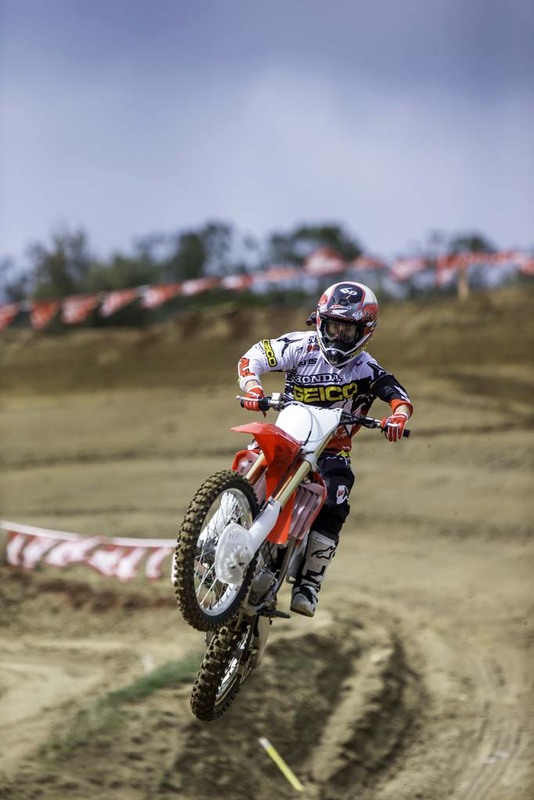 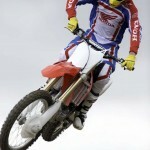 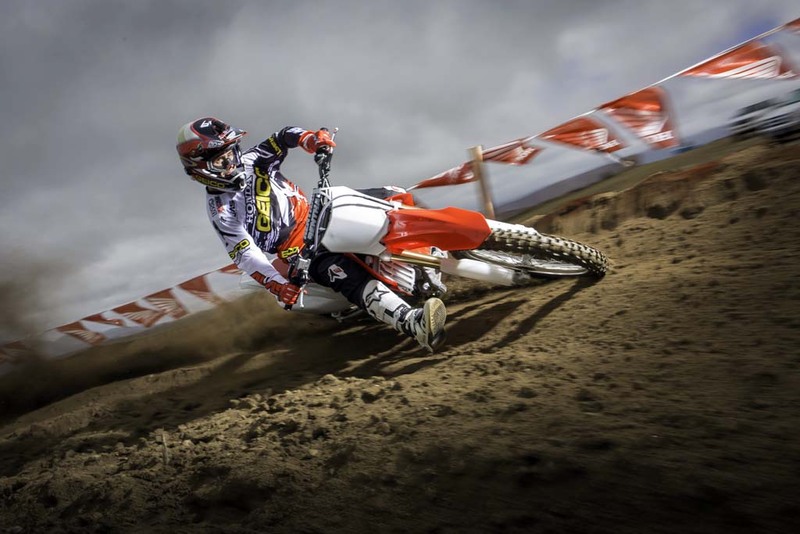 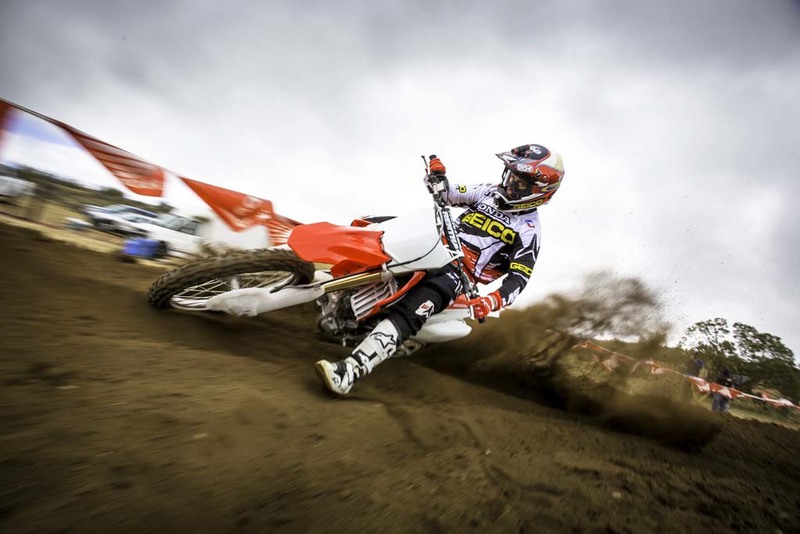 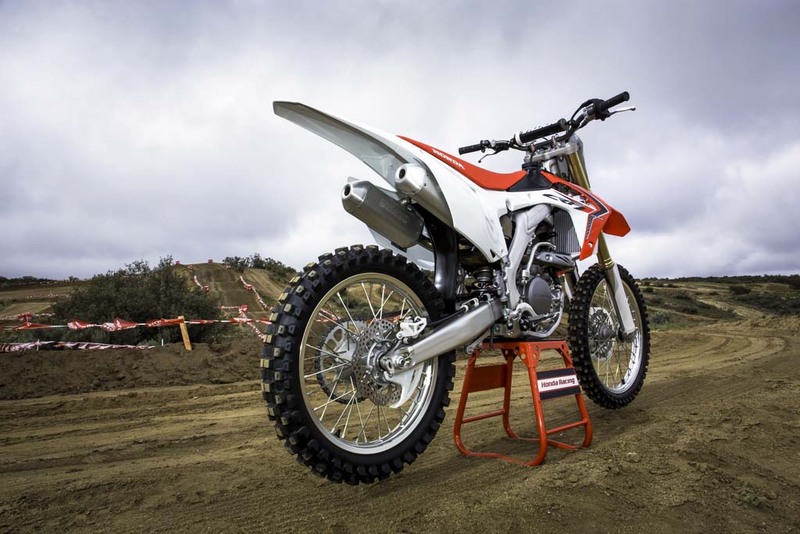 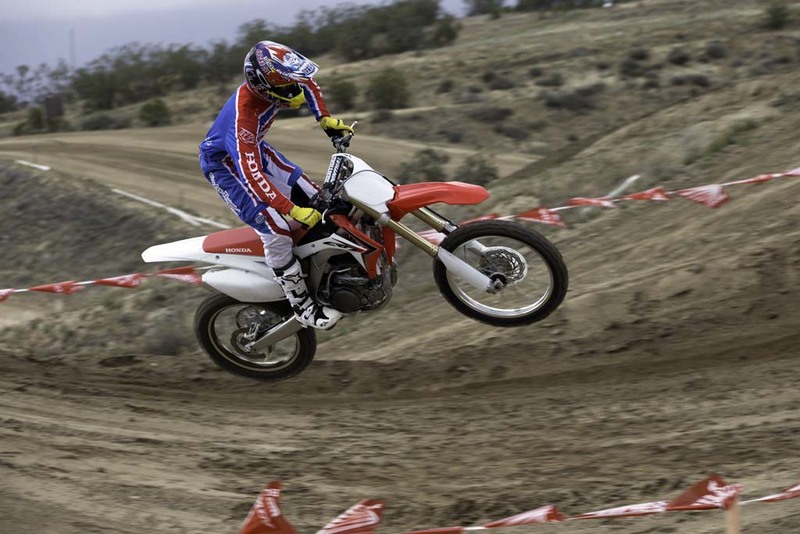 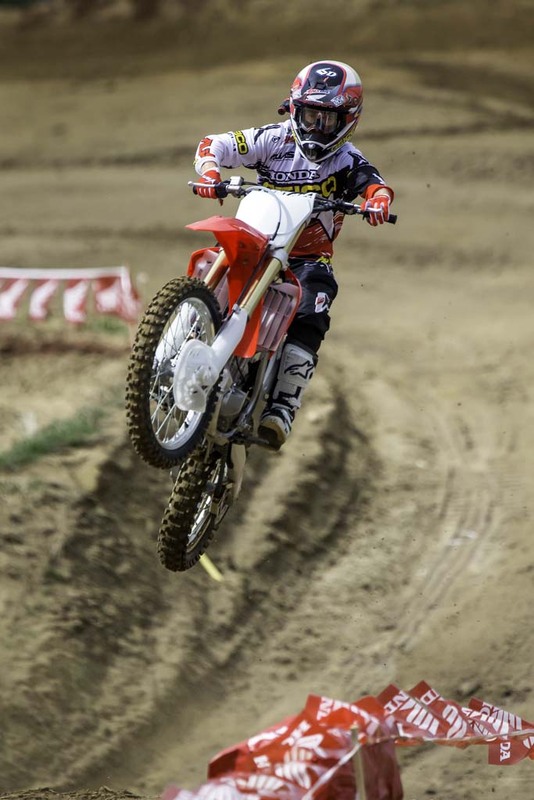 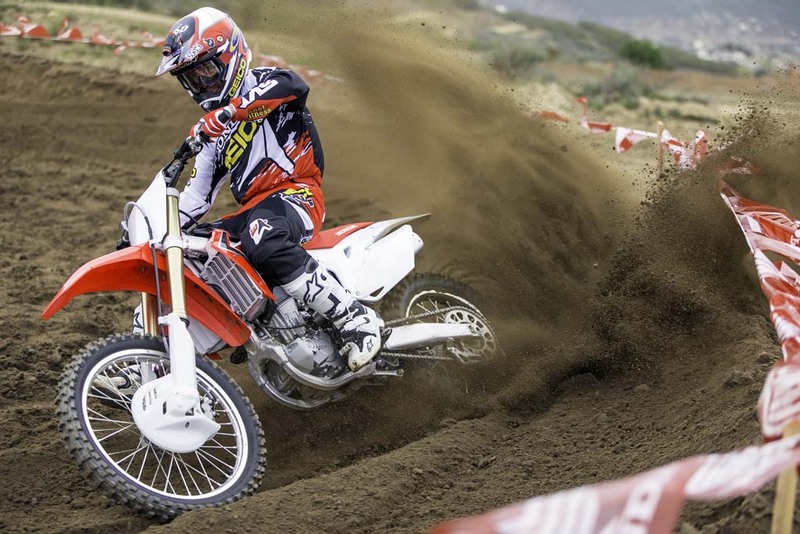 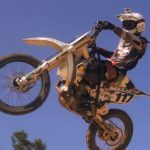 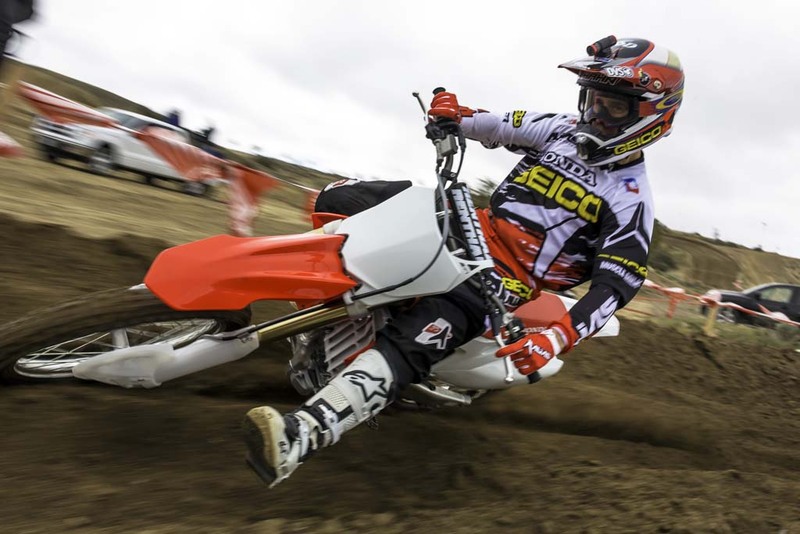 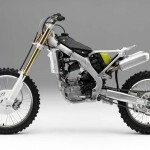 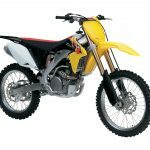 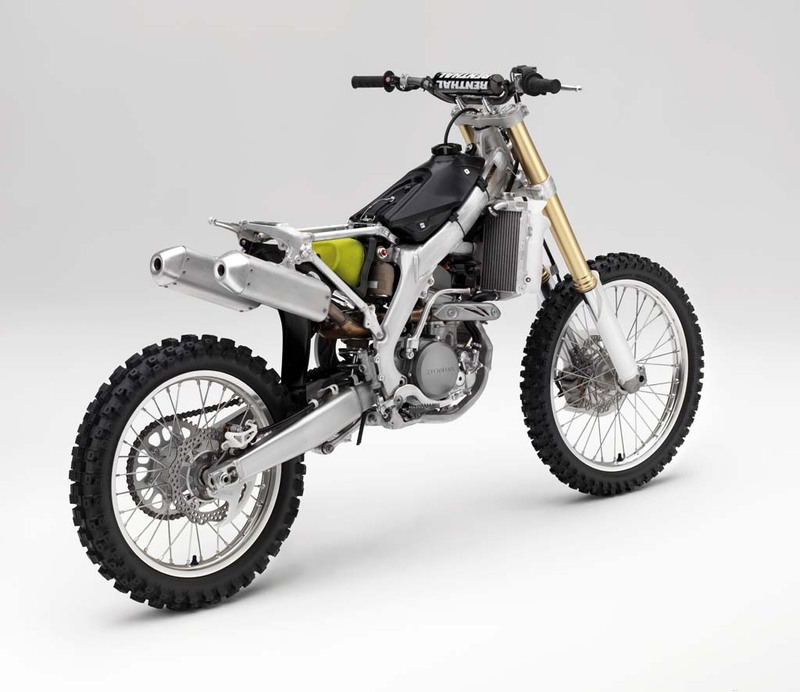 Honda has completely overhauled its CRF250R motocross bike for 2014, offering an all-new engine and an aluminum beam frame inherited from the CRF450R. 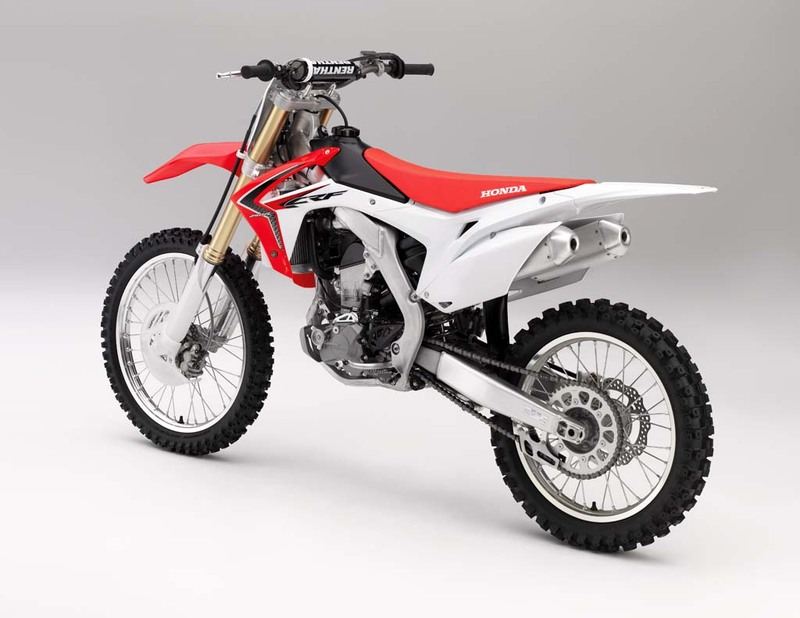 With a claimed weight of 231 pounds, the 2014 model is actually 4 pounds heavier than the 2013 model, but the new updates are designed to improve mass centralization, with Honda claiming it to be more flickable and nimble than before. 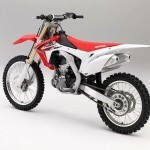 According to Honda, the new frame weighs 20.6 pounds, while the main frame spars meet the steering head lower than on the previous frame, helping lower the center of gravity. 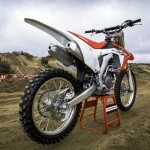 Honda says the new frame offers more “tuned” flex, improving front-end traction and corner speed. 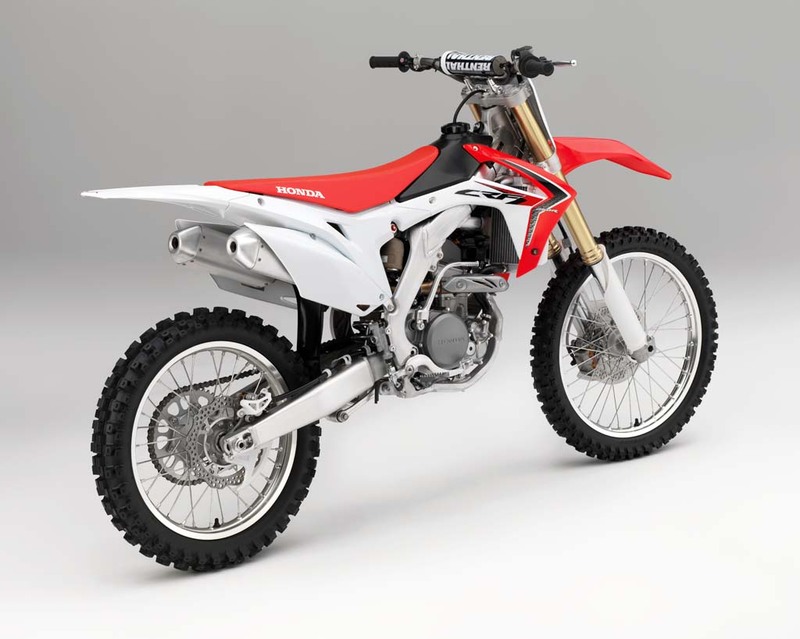 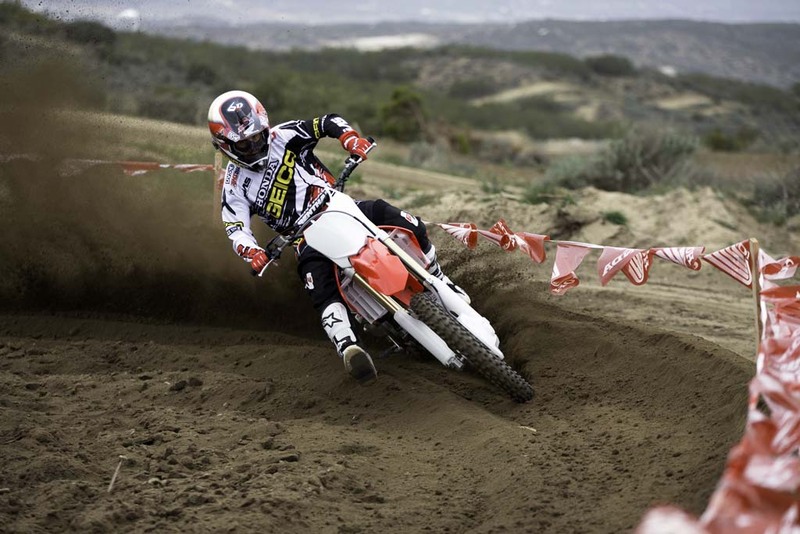 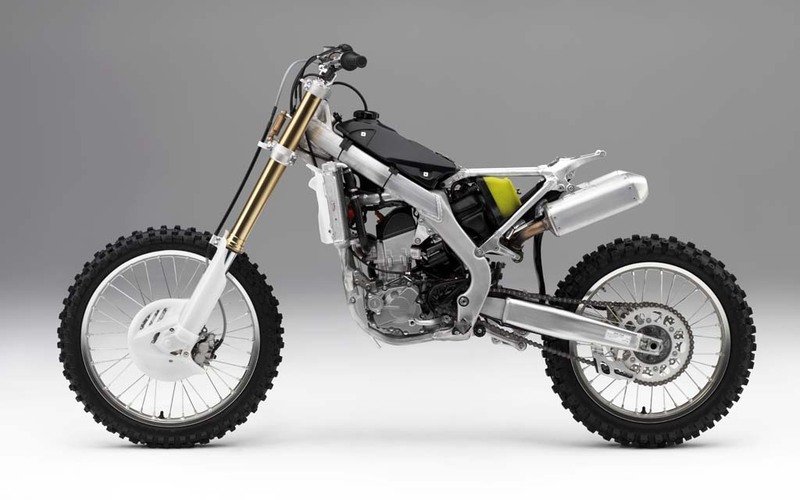 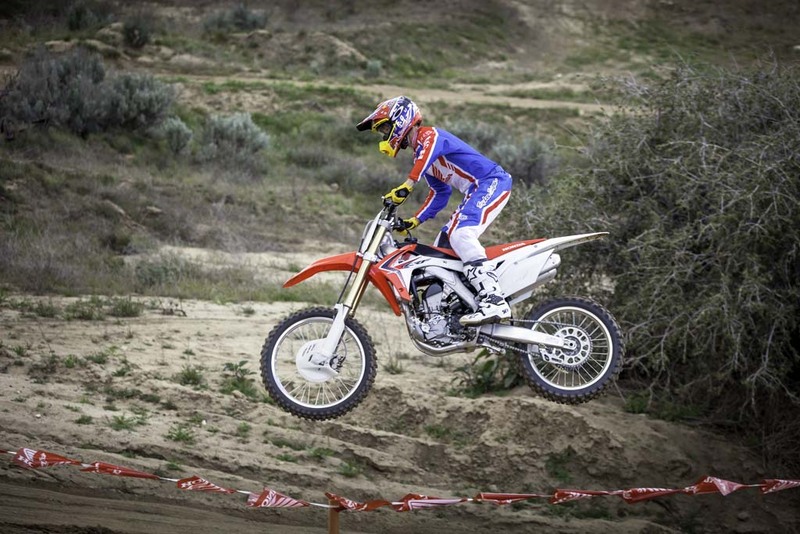 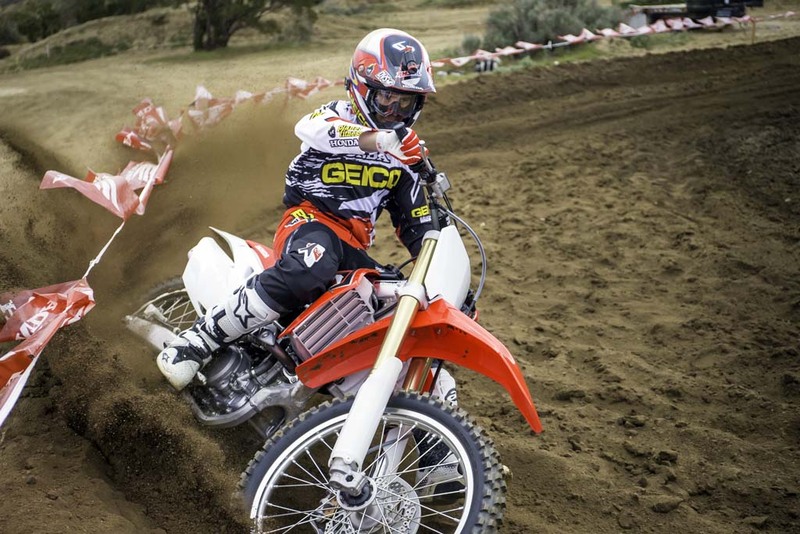 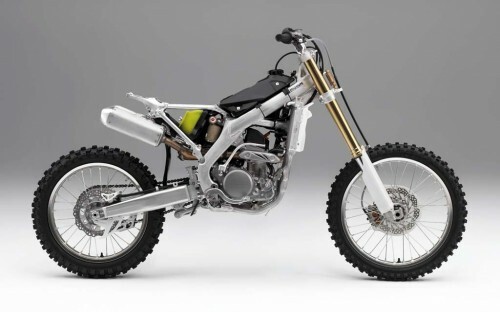 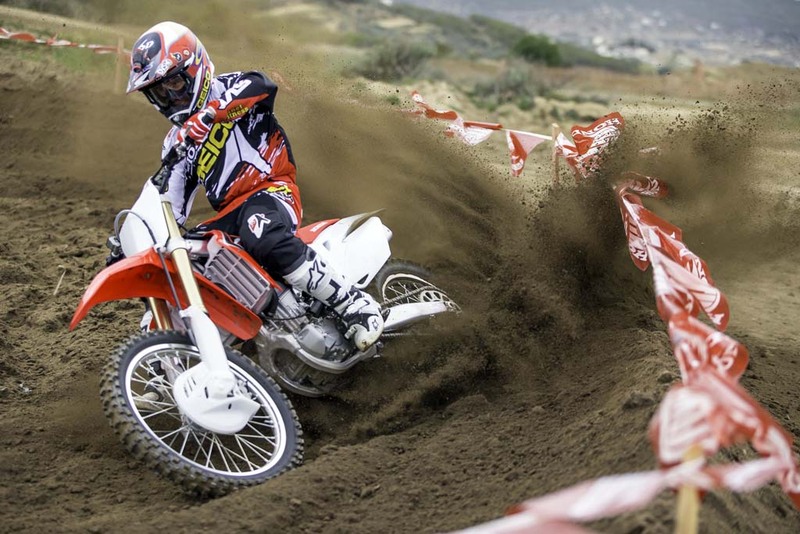 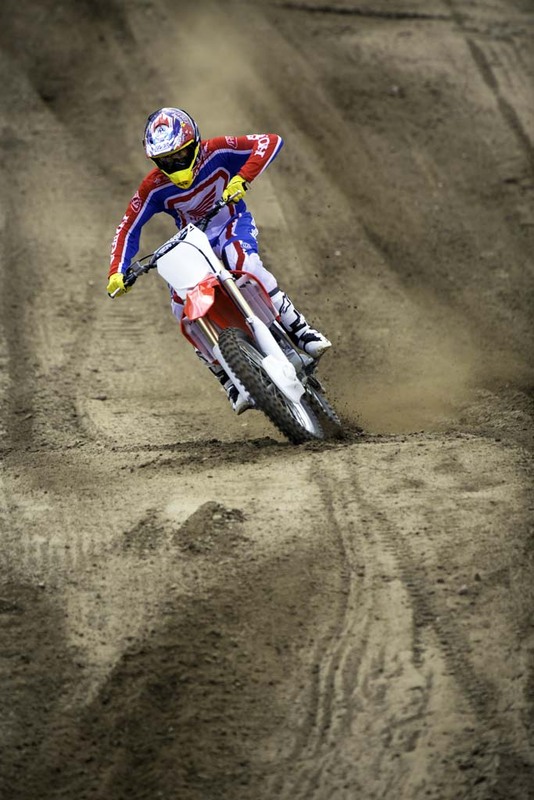 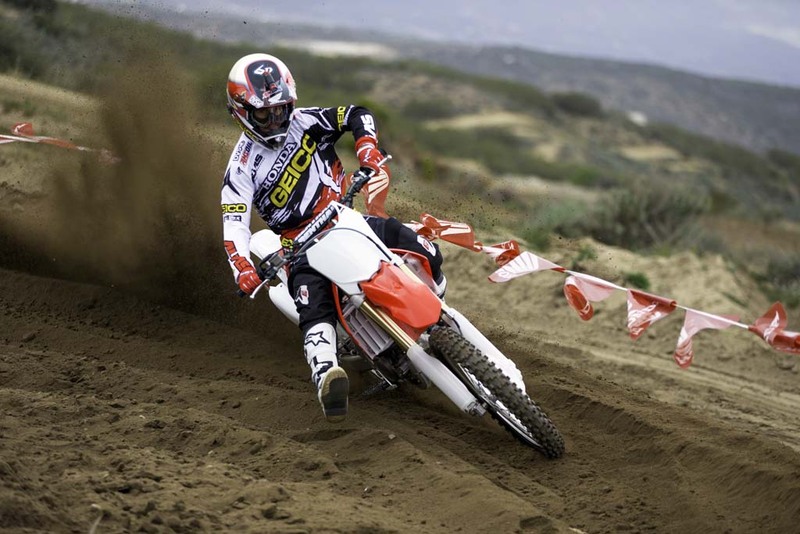 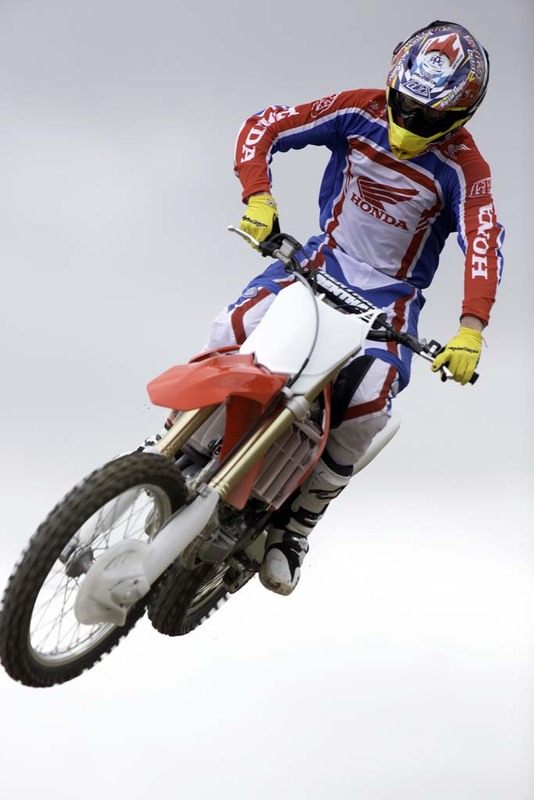 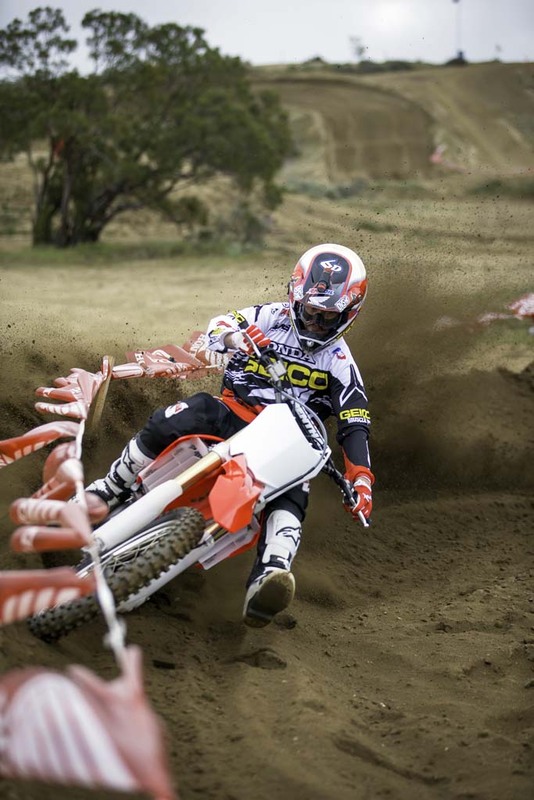 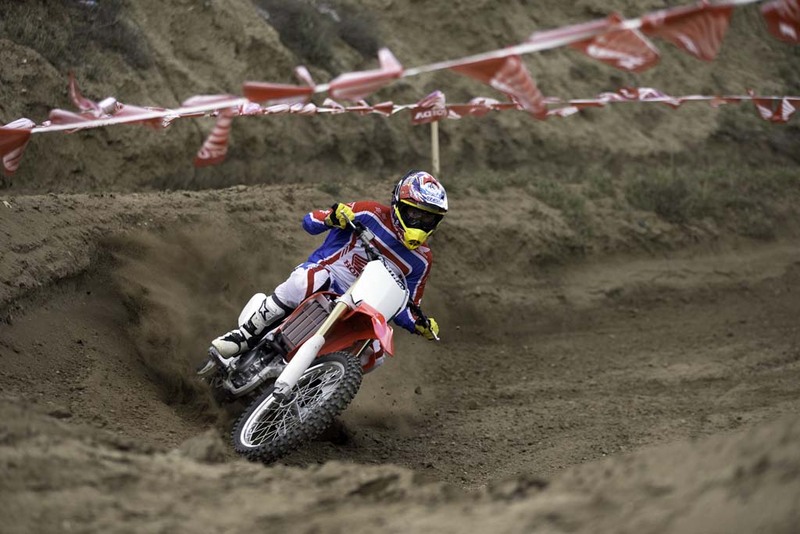 The 2014 Honda CRF250R is powered by a liquid-cooled 249cc four-valve Unicam engine. 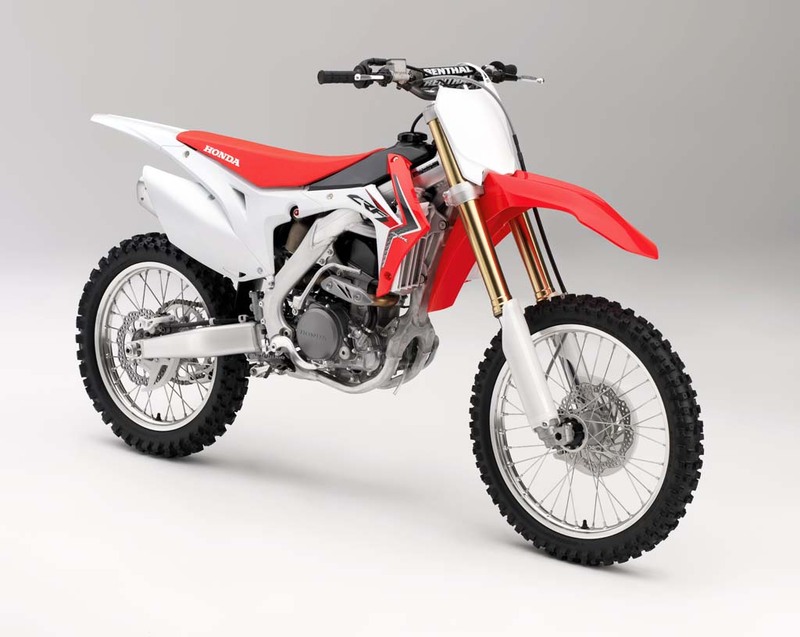 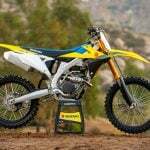 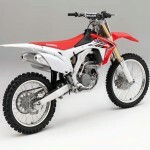 It uses a new cylinder head and piston and has a higher compression ratio (13.5:1 from 13.2:1) than the 2013 CRF250R. 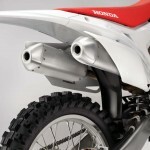 Also new is the twin-muffler exhaust system. Both mufflers are shorter and tucked in than the single exhaust on the 2013 model, contributing to mass centralization. The Programmed Fuel Injection system (PGM-FI) has been updated with dual-stage injector timing and a new injector angle Honda claims improves low- and mid-range performance. 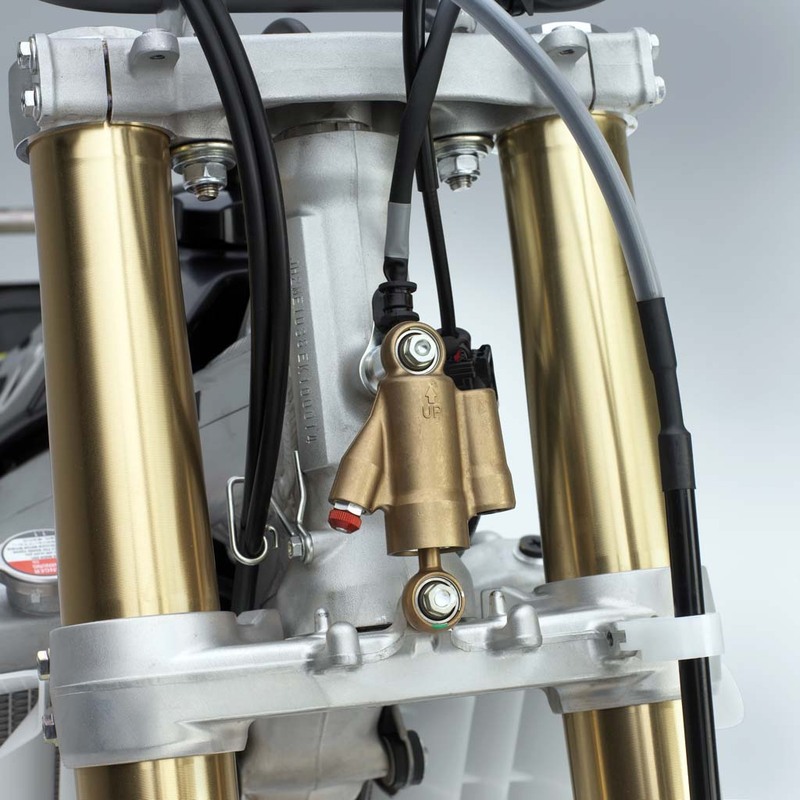 Fueling can be further adjusted with an HRC Fuel-Injection setting tool (available separately). 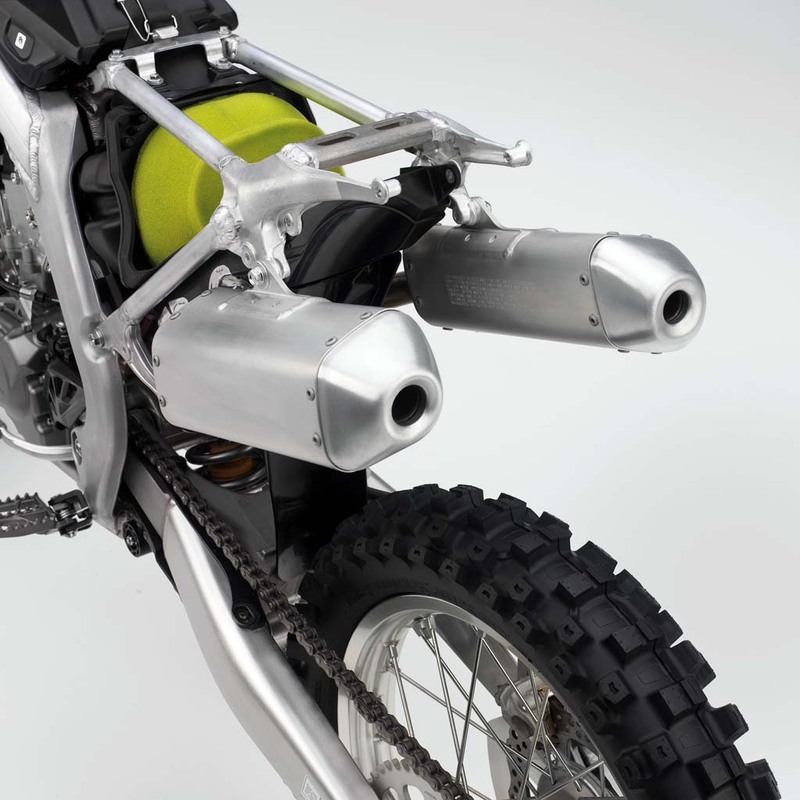 A new air box design that improves airflow while also being easy to access. 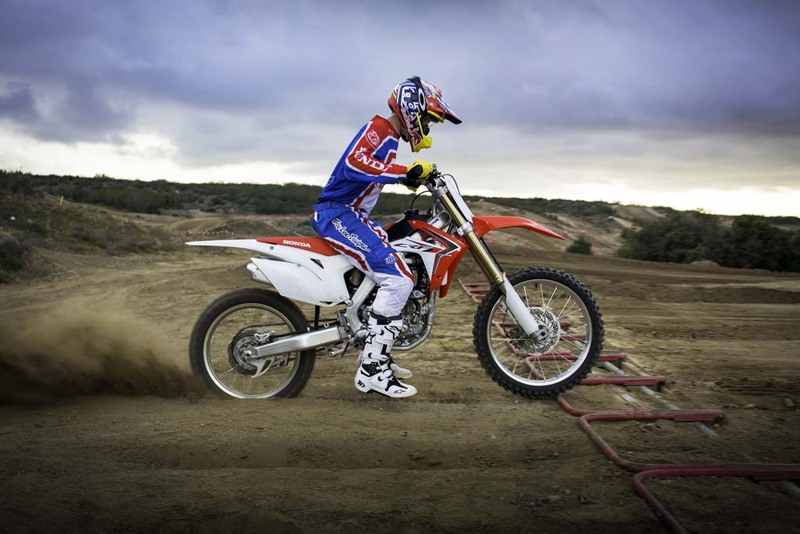 Honda also installed a new transmission system with wider gears to improve durability. 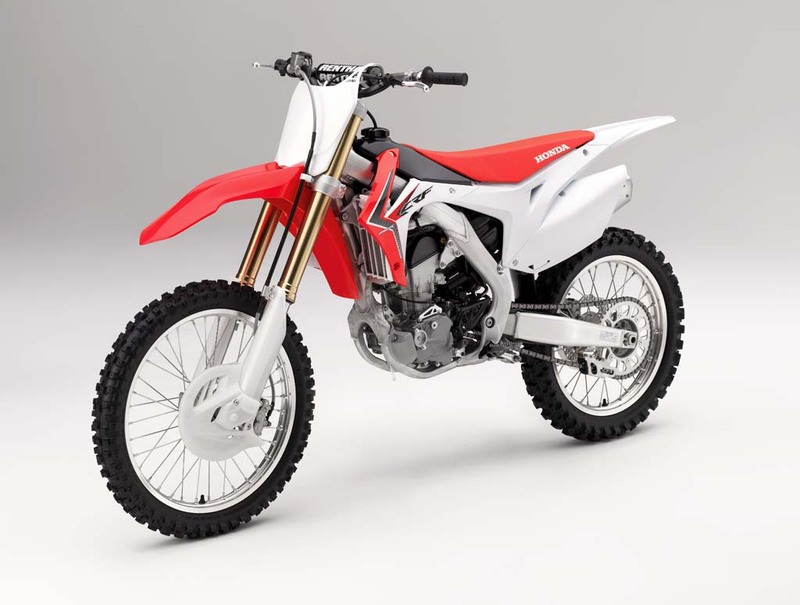 The electrical components are centrally located below the throttle body while the radiators are all-new, weighing less and mounted lower than the previous radiators. 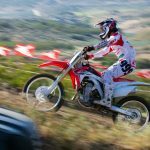 Honda updated the CRF250R’s Showa inverted cartridge forks with new internal components including a new larger internal sub-piston to improve low-speed damping. 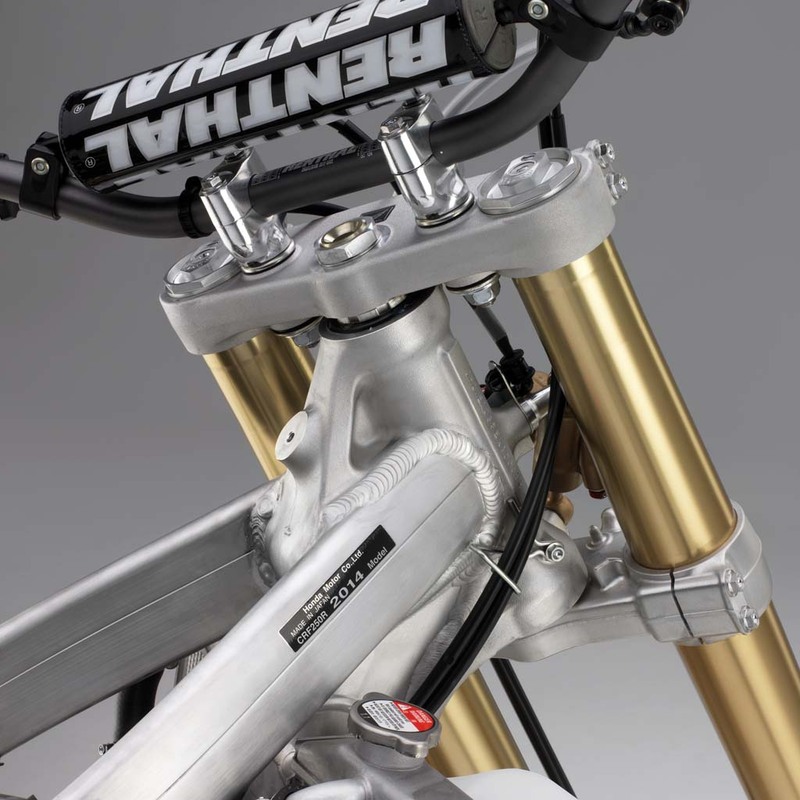 As with the 2013 model, the 16-position adjustable front suspension offers rebound and compression damping. The rear suspension has also been updated with more rigid swingarm and a smaller Showa shock that sits lower in the frame. 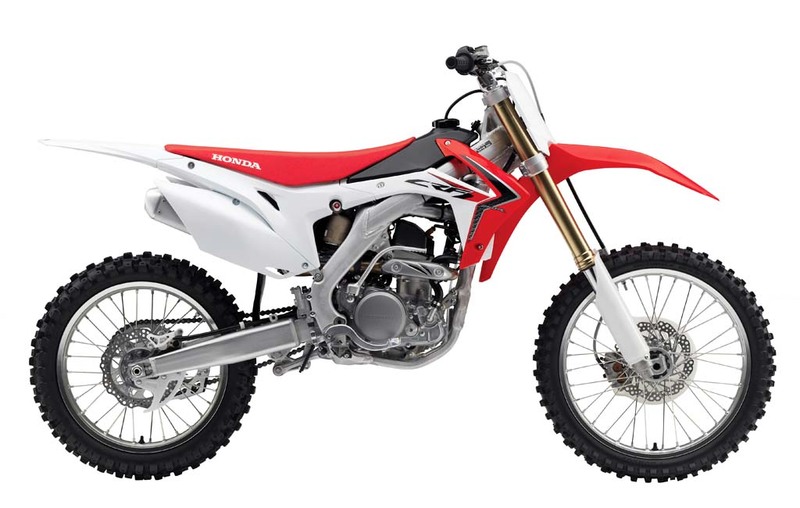 The spring weight has been adjusted for the new frame, and the rear shock offers new rebound and compression damping rates. 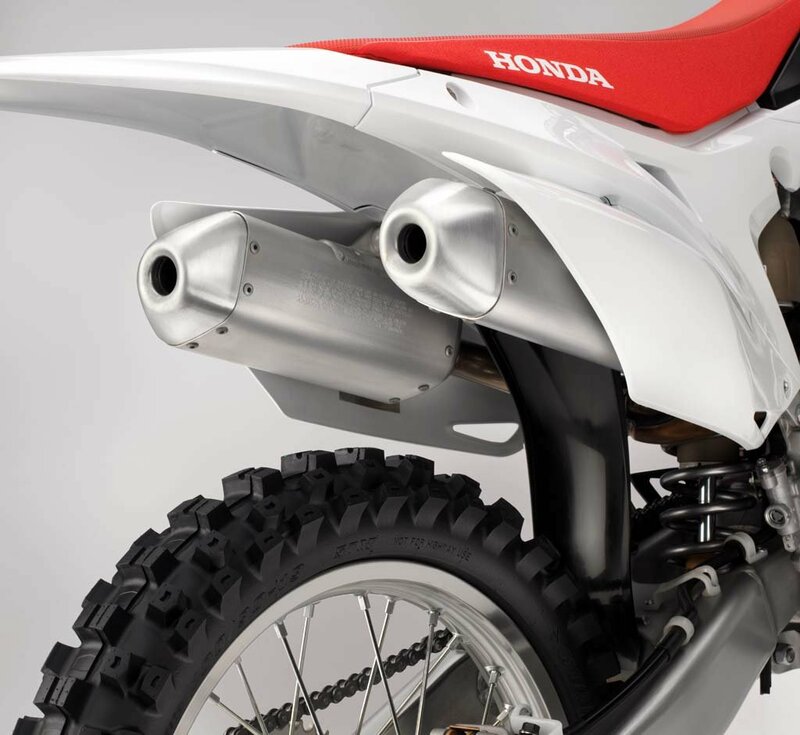 According to Honda, the new rear suspension improves mass centralization, reducing pitching inertia and allowing for harder braking without compromising stability. 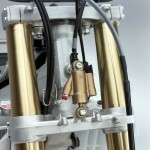 The rear suspension is fully adjustable with 17 rebound settings. 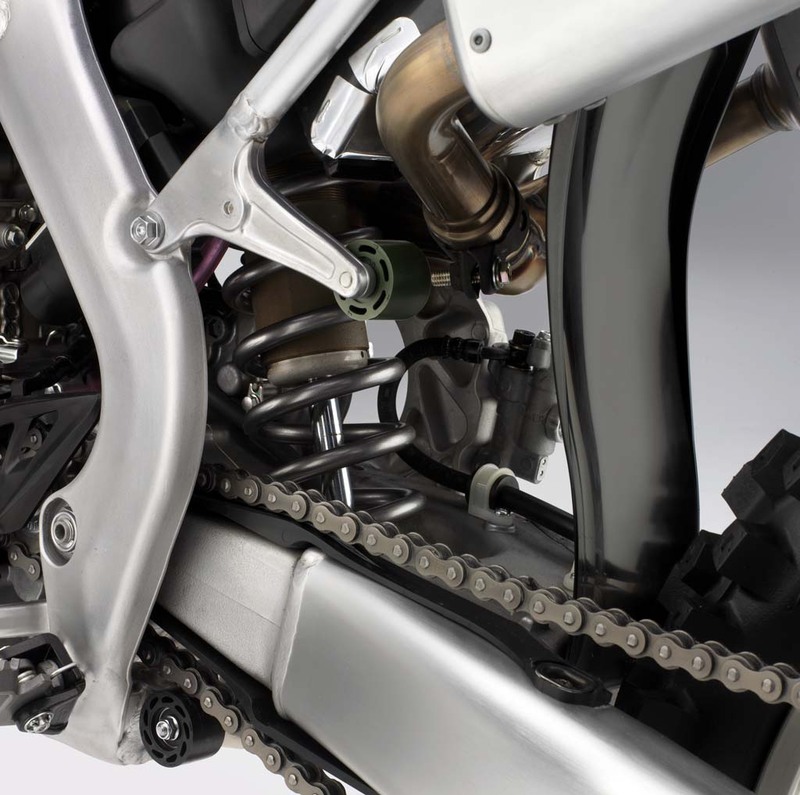 Compression damping offers separate adjustments for low- and high-speed settings. 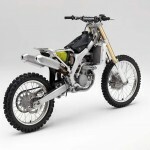 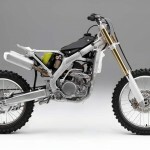 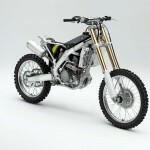 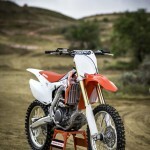 Other updates include a larger 1.66 gallon fuel tank (versus 1.5 gallon on the 2013 model), a new seat and new bodywork. 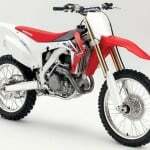 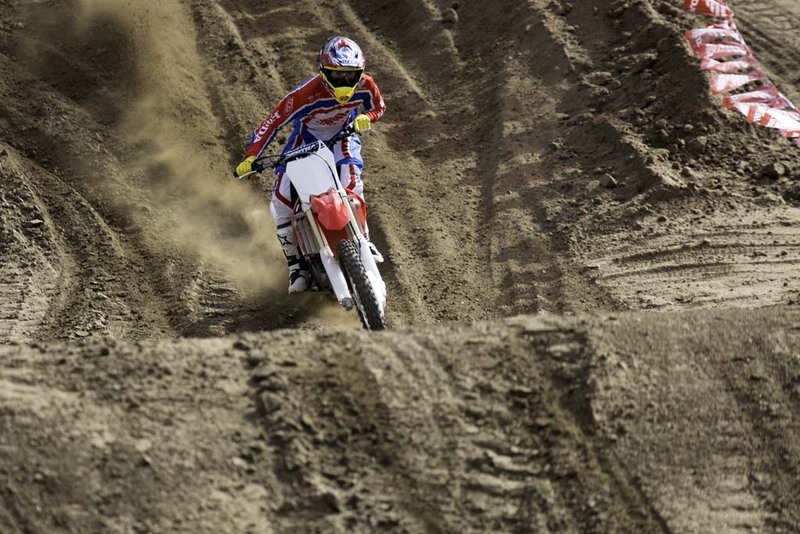 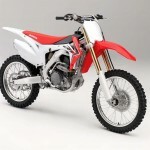 The 2014 Honda CRF250R will be available in September. 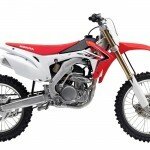 Honda has yet to announce the price.